Look we weren’t really surprised to read this but now the MNP that we expected to arrive in August will come in September. The government will reveal the successful bidders on March 5 by awarding them a letter of intent. The implementation plans are still the same – Major cities will get MNP within six months while the rest of the areas within a year. The ever increasing confusion and talks making the rounds in the Indian telecom landscape around the Tata Teleservices and NTT DoCoMo deal has reached an endpoint with the cabinet giving a thmbs-up to the deal. With the approval, DoCoMo will not face problems acquiring its proposed 27% stake in Tata Tele. Apart from this, the Japanese giant also got approval to acquire about 20% odd stake in Tata Tele Maharashtra. This approval has led to the deal being one of the biggest one’s witnessed by the industry. We Say: The increasing interest being shown by foriegn majors in the Indian telcos goes to show how tempting the subcontinent is with respect to telecom investment. Let’s hope the moolah keeps pouring in!! After the launch of MTNL’s Jadoo, it’s now BSNL’s turn to launch the high speed 3G service. 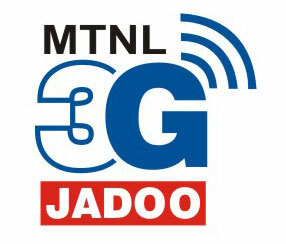 The operator announced the launch of 3G in Tamil Nadu recently. The service will be first pilot tested in Chennai, where the service will be the first of its kind. Moreover, the operator plans to cover 700 cities and has already set an ample amount, to the extent of Rs. 2700 crore, aside for the same. Let’s wait and watch how the service is accepted by the users down south. BSNL’s new plan could easily set off another tariff war amongst the operators. Dubbed as India Golden Fifty Plan, it tends to set a standard price for all the networks across the whole of India. Be it local calls, STD or even SMS, a user will be charged only 50 paise. If a user tries a call on any BSNL number, he’ll be charged 20 and 30 paise for local calls and STD respectively. The plan will be available from March 1 for a monthly rent of Rs. 375. We Say: Even though the tariff is quite lucrative, the monthly rent is a bit of downer. Rs. 375 per month in addition to the call charges will make many think before jumping onto this scheme. We would recommend this only if you’re usage is around Rs. 500 – 600 per month. CIT minister A Raja has confirmed that the mobile number portability (MNP) that was slated to come in December last year, will finally be launched in August. The first phase will cover major cities while the second phase, will take over the remaining cities by the end of the year. It’s better late than never but somehow I have a feeling that it’s going to be delayed further. What do you think? Will you change your service operator if MNP comes into effect? And if yes, what price are you willing to pay? The previous we heard was Rs. 300. As per the latest TRAI reports, the Indian telecom sector added a record breaking 15 million subscribers in January. This is a global record for any telecom market in such bad economic conditions indicating that the world’s fastest growing telecom market has remained untouched by the global economic slowdown. Reports also state that the country’s 362.3 million mobile connections now account for close to 91% of India’s total telephone base. Enormous growth in the mobile market has led to push the country’s teledensity to 34.5%, which means that there are 35 phone connections for every 100 people in India. With India averaging near to 10 million new telecom connections every month, even MNC’s like telecom equipment vendor Ericsson have stared stating that the Indian telecom market is on par with developed markets like the US and China and will surpass them in some months.